Hey everyone, I hope you are doing well and having a great weekend. It’s more than two weeks now when I posted last time on my blog! Life is busy and few things are going crazy on my website technical side. So I was making time to fix those issues first. 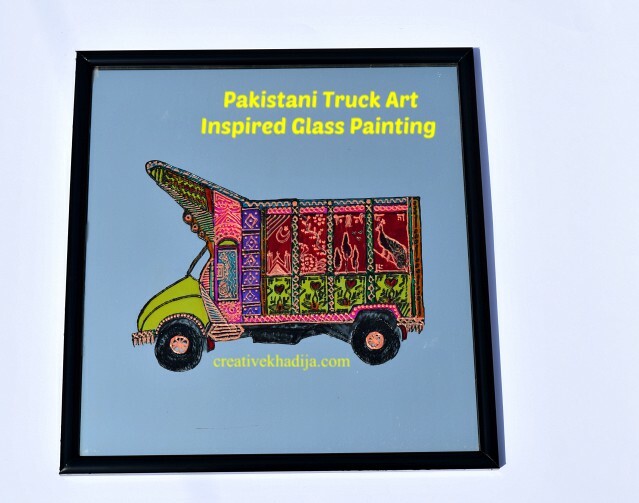 Anyways, Today I will be sharing an easy and unique tutorial of Pakistani truckart glass painting. 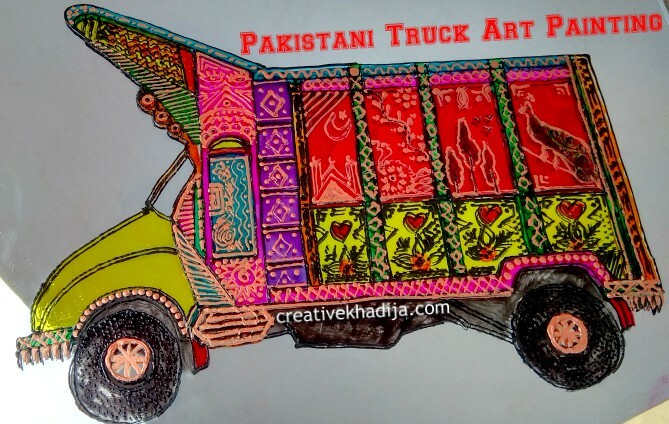 As you may already know that truck art is one of the most attractive Pakistani art on the wheels. 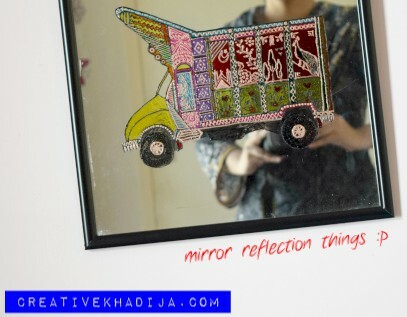 If you are a Pakistani, you will be already familiar with this Pakistani beauty of embellished truck art designs. and colourful patterns. 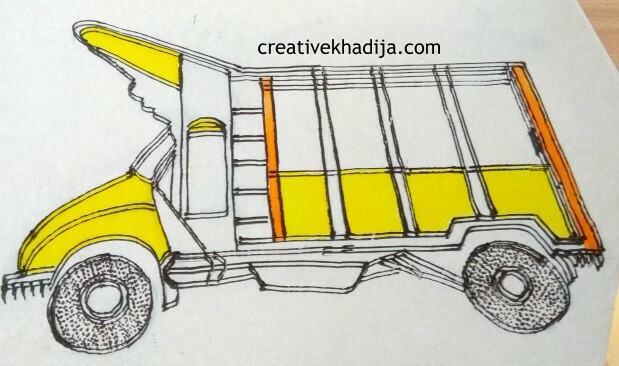 A few years back once I wrote an article about Truck art designs of Pakistan, that article went viral and appreciated a lot specially by my international readers. 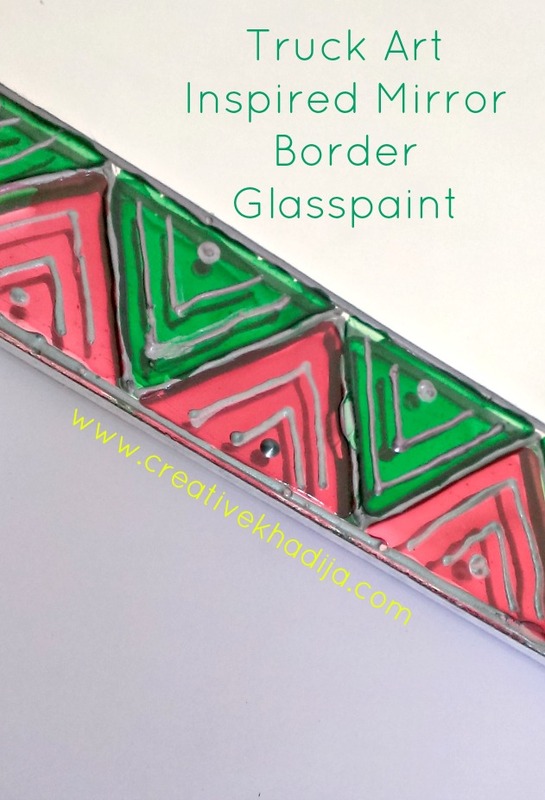 Today again I am going to share this Pakistani art inspired glass paint tutorial. I hope you will enjoy my today’s blog post. Have a look now! 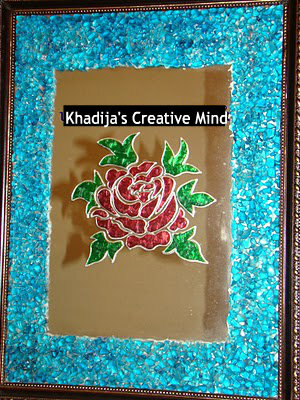 I have designed many glass painting wall arts. 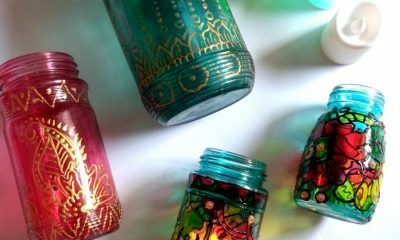 If you remember, two months back I got a big package of glass paints from a paints manufacturing local brand. Though I am not completely satisfied with their product result but it’s not bad as well, so I tried them again and painted a cute Pakistani Truck painting. 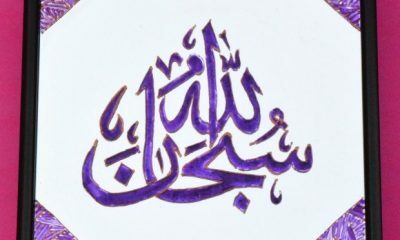 You can see beautiful truck art motifs and patterns on the wheels here in Pakistan. Specially on the highway I used to see these while coming back from my university a lot. I read the poetry on these decorated trucks and quotes too. Do you remember some of them? 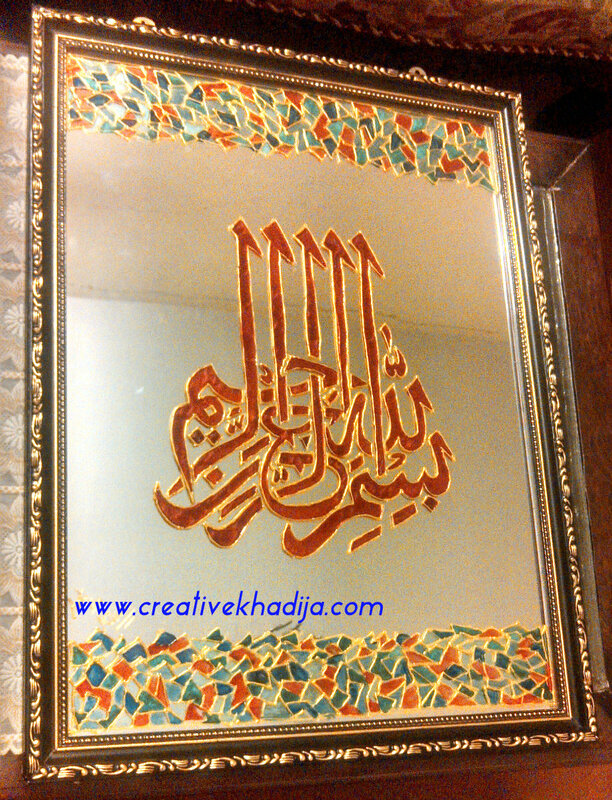 I follow few patterns and draw the design on the mirror. 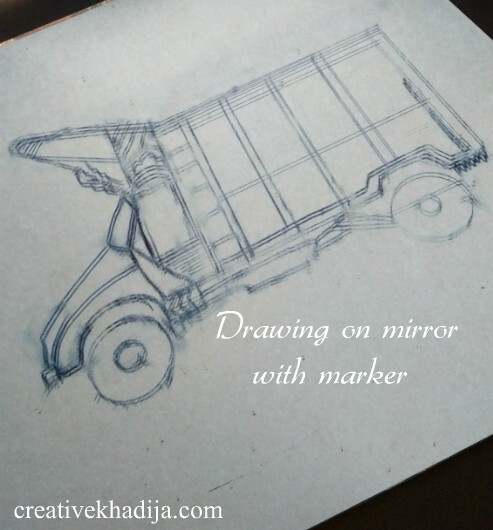 First of all you will draw a truck in the middle or if you like it on the bottom of the mirror. I tried to draw it in the middle here. I made a square first and then draw freehand in that square. 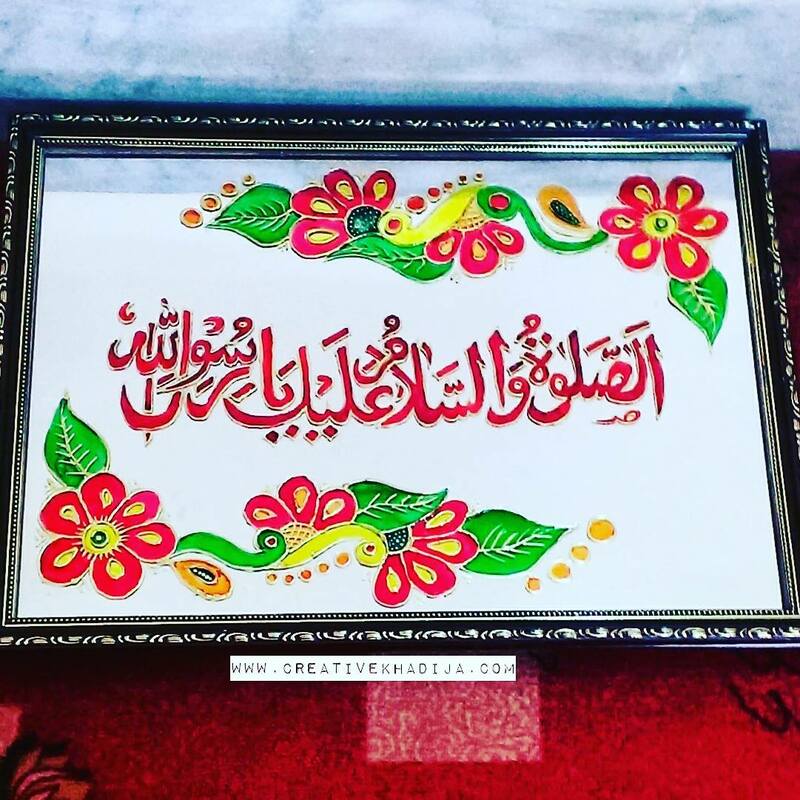 If your freehand skills are not that good, then follow a template and draw the outline. I have used black outline of glass led. Fill the marker outline with glass led outline. If you see some mess, you can remove it by using nail paint remover too. Let the outline dry for 30 minutes at least. 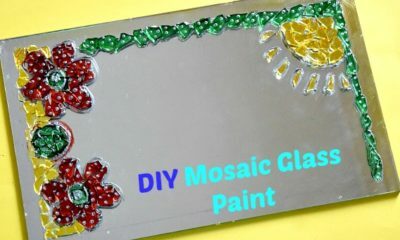 Then start painting transparent glass paints in it. Be sure to remove the marker drawing lines and spots as the paint gets dry. You can use any soft fabric or tissue paper for removing marker spots. Now start colouring it, I started with yellow and orange transparent glass paint. Next pink, red and green glass paint colour. 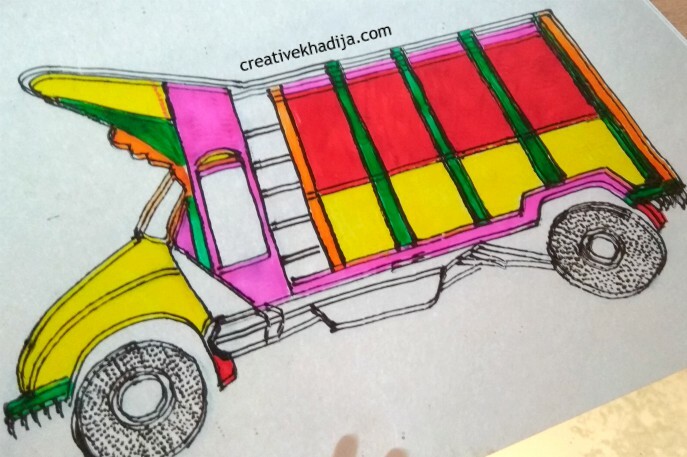 After painting different colours in the different parts of the truck drawing, then I keep it aside for 15 minutes until paint gets dry completely. 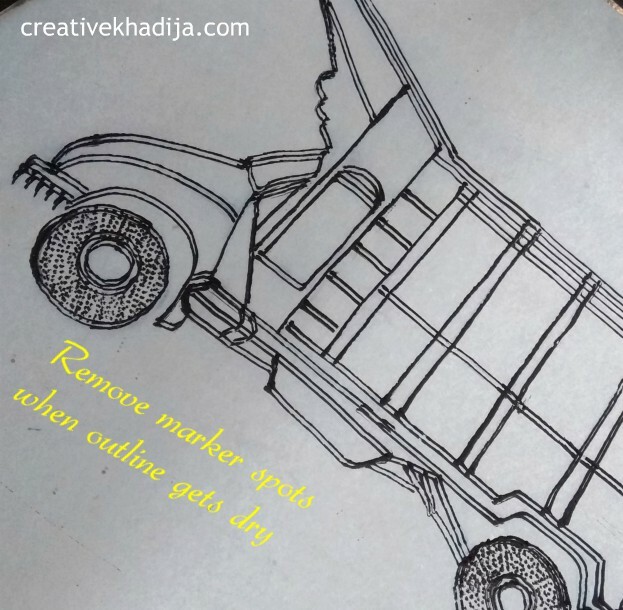 Now embellish the truck art painting with gold and metallic coloured outline paints. I draw some dots, lines and freehand designs in the shapes accordingly. 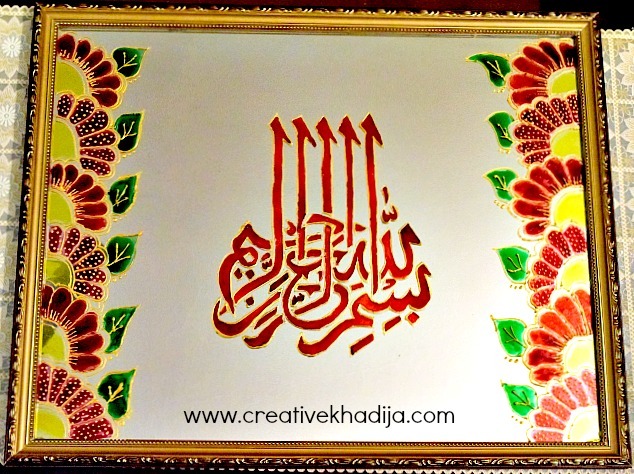 After painting this wall art, I sent for framing in black border. 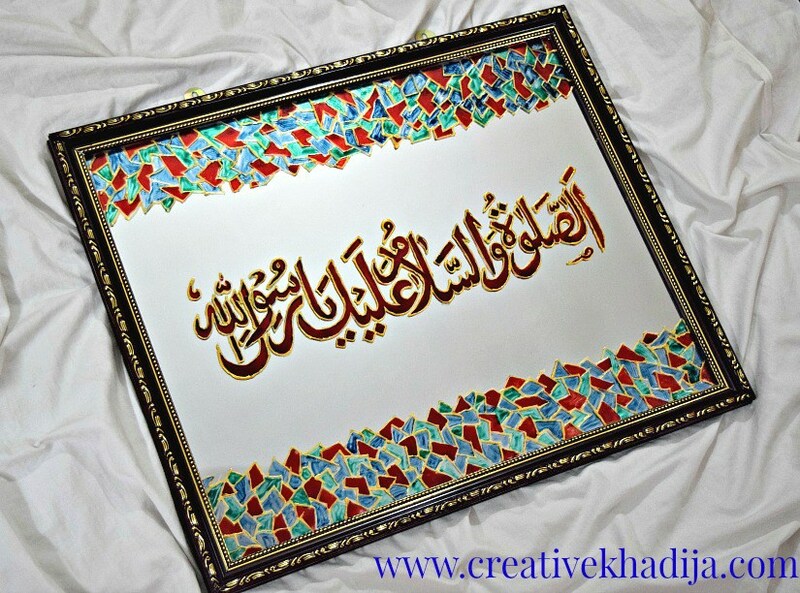 Have a look at the final wall art below! 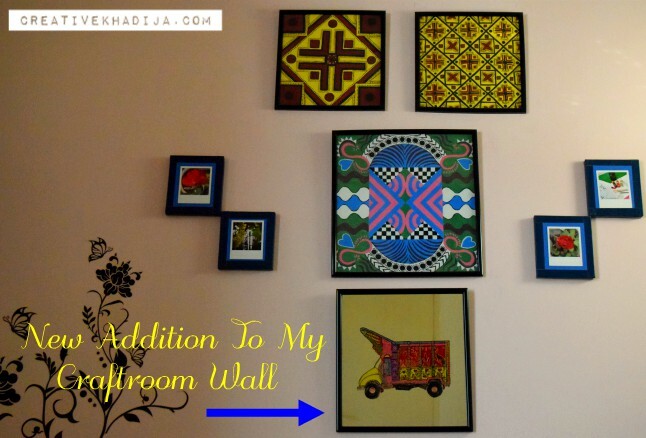 Here is the updated look of my craft room wall here. is it looking good here? or should I shuffle the wall arts. All of these are hand painted by me. These mini Polaroids are photographed by me as well. 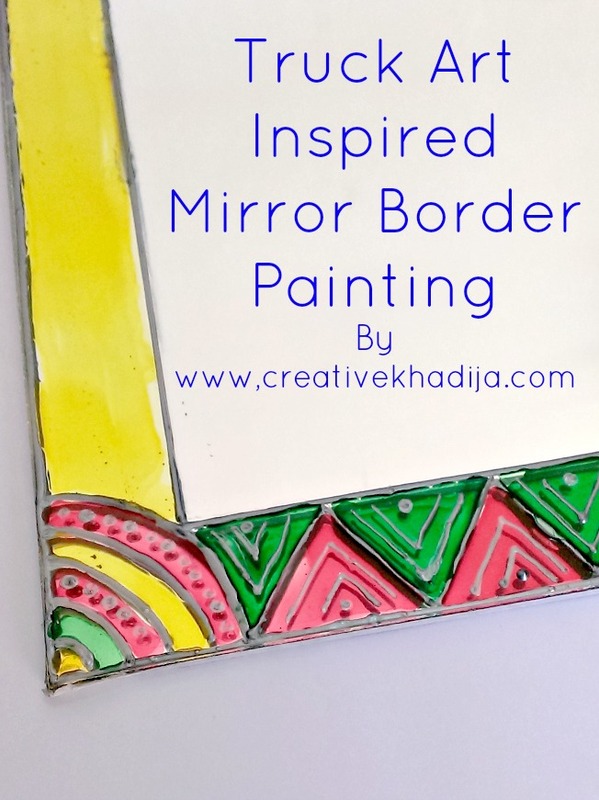 I hope you liked my today’s long yet unique glass paint idea. 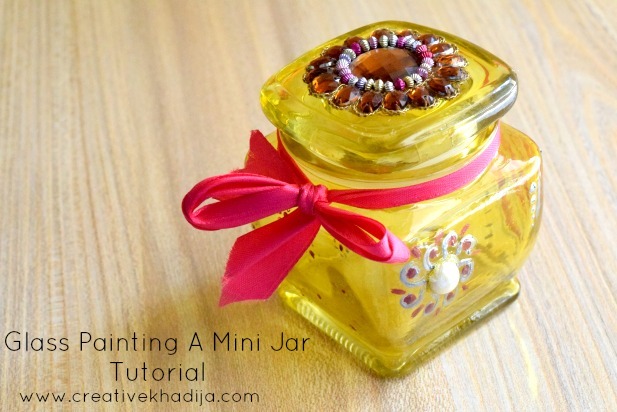 You can have a look at all of my Glass Painting Tutorials Here. Truck art is Pakistan’s very unique form of embellishing heavy duty trucks and passengers buses. You can also read some funny yet unique quotes or poetry on these trucks. That’s one of the fascinating thing on the wheels as well. One more thing!! 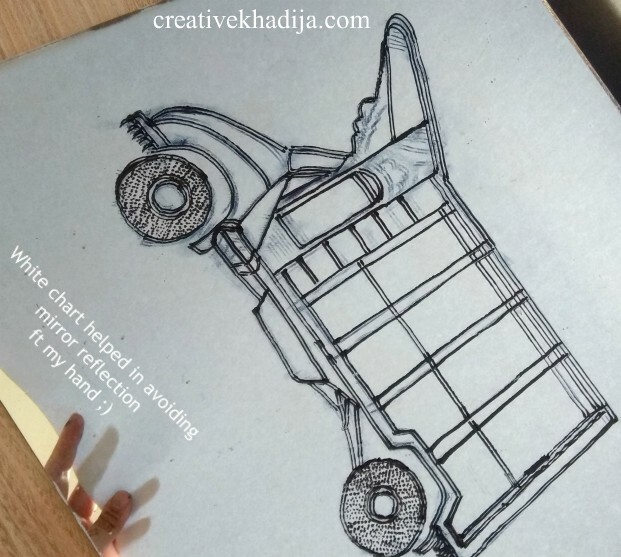 Suggest me some truck art poetry and quotes for writing along the sides of my truck design painting. I will be sharing with your names if your quote gets selected! One quote from my side is definite for writing here, JANI SARRYA NAH KAR!! (don’t be jealous dear) As some folks are jealous and trying to make mess with my website tech, so I will write this quote for all those who can’t see me doing well successfully!! Sorry I can’t help if you are jealous. Only suggestion : Work hard and be yourself!